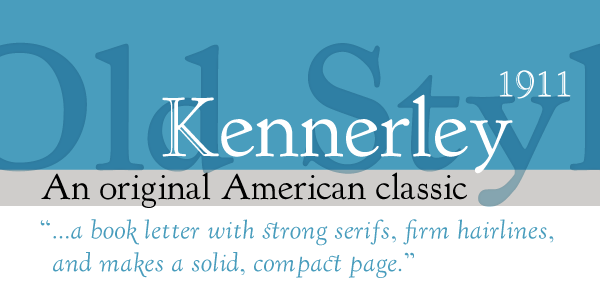 This classic Frederic Goudy design was originally made for American Type Founders in 1915. 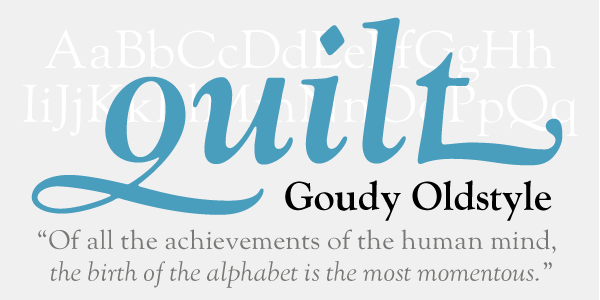 When Goudy became the type director of Lanston Monotype, many of his designs were adapted and expanded for the Monotype machines. 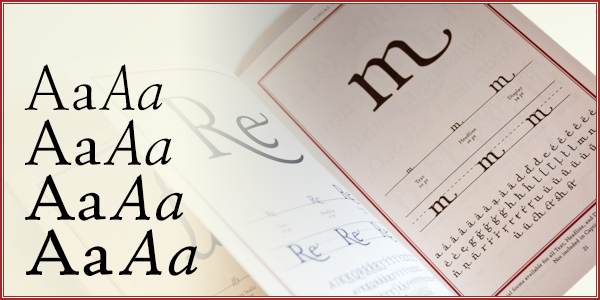 The Lanston Monotype offering of 1930 featured the option of long descenders for smaller sizes. This digital version features the long descenders by default. 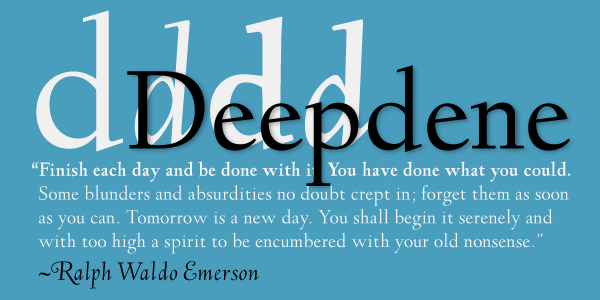 The new OpenType version allows for the option of long or short descenders and many other alternates. 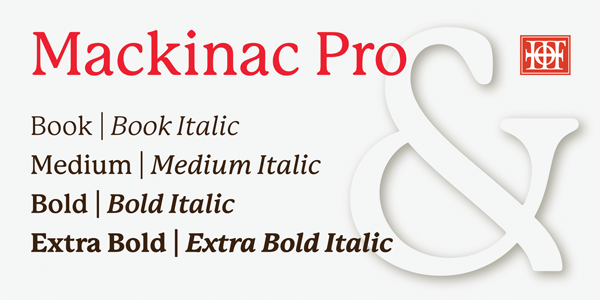 Package options include Goudy Oldstyle with Goudy Handtooled- the inline versions of Goudy Oldstyle Bold & Bold Italic.